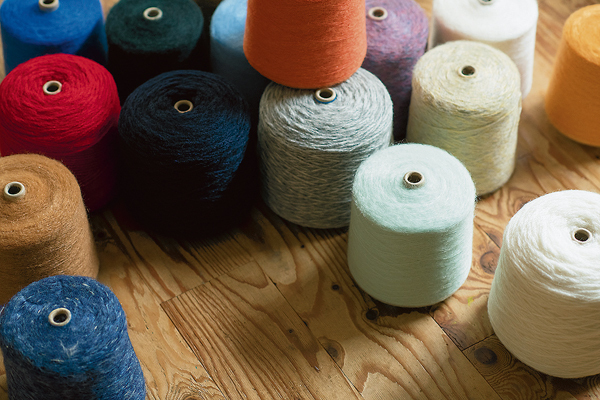 The knitting yarn maker Sawada will begin selling high-quality knitting yarn made using mohair as a product for autumn and winter. Dande is yarn made using kid mohair sheared from young angora goats, and is characterized by its high-quality lustre, lightness, and fibre length. The superb quality mohair is carefully sheared to prevent injury from the goats on a safe and secure farm that adheres to “sustainable industry guidelines.” This mohair is then finished at spinning and dyeing factories that utilize advanced Japanese technology. Sawada offers abundant colour variations in 72 hues and manages its inventory to enable smooth supply to customers.